Time is compressing as the movie progresses. First divided into months, it now starts dividing into days (and later hours). 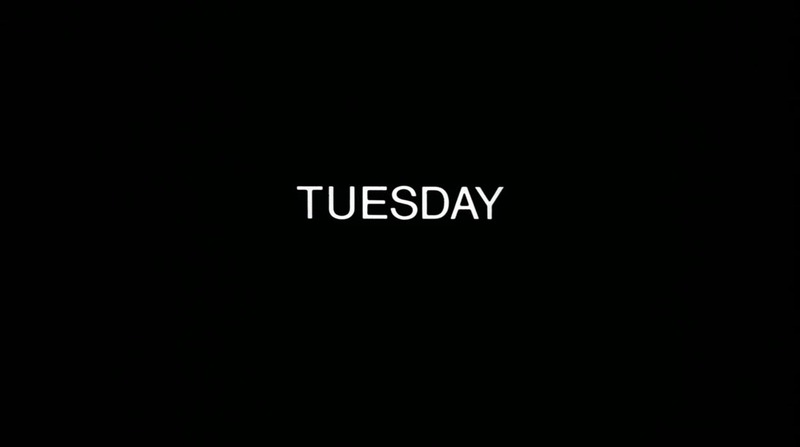 The name TUESDAY derives from the Old English "Tiwesdæg" and literally means "Tiw's Day". Tiw is the Old English form of the Proto-Germanic god Tîwaz, a god of war and law. Tîwaz derives from the Proto-Indo-European base dei-, meaning 'to shine', whence comes also such words as "deity."